I’m a fan of coordinated outfits. Not in an over-the-top shirt matching shirt way, but in a subtle way. Picture my delight when I came across these booties bearing patterns fit for a winter coat. Keeping booties on a baby for more than one minute is a challenge at my house. All of a sudden, I realise why an odd shoe or tiny sock on the footpath is commonplace. 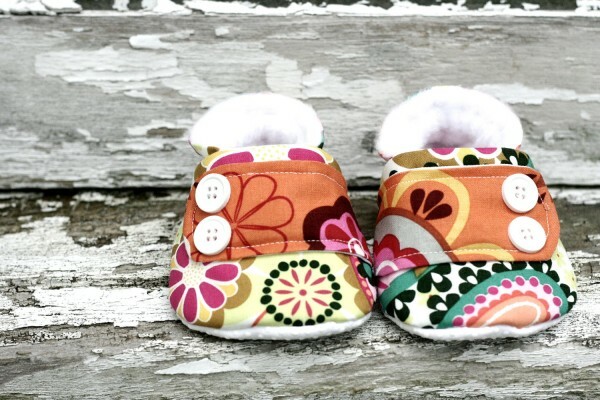 Former fine art student Kristi Jo knows these frustrations herself and has turned making baby shoes into an art of its own. A pair made for her own son grabbed great attention from hometown locals in Cincinnati. Now we can all buy her handmade booties at My Baby And Company on Etsy. 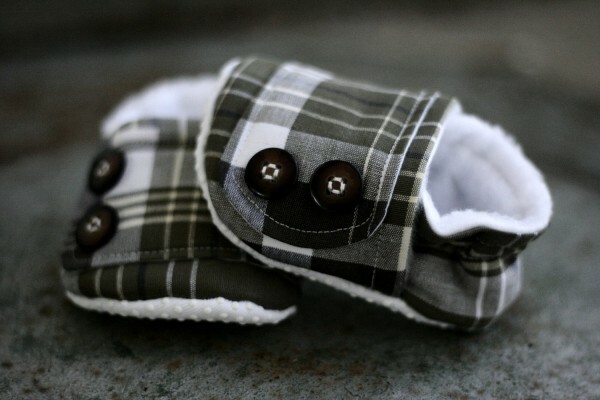 Booties have snuggly fleece inners and non-slip soles. Best of all they’re topped with endearing fabrics that will attract praise. My favourites are the My Vivienne Organic (pictured below) for their hit of yellow in organic cotton, and the My Evelyn (pictured above) for their bright punchy colours. The My Findley (pictured at top) match a jacket I have my eye on and the black unisex check of My Bryce (shown below) goes with everything. 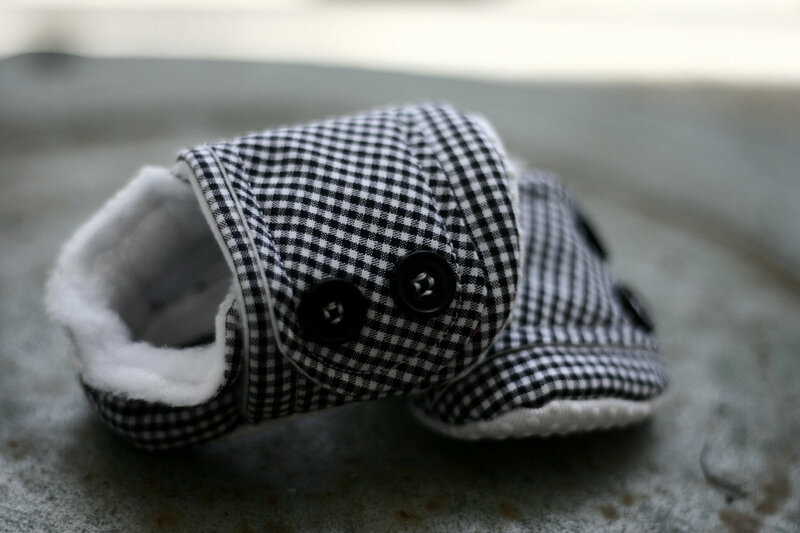 My Baby And Company shoes are US$20 to US$25 and are available at the company’s Etsy shop. 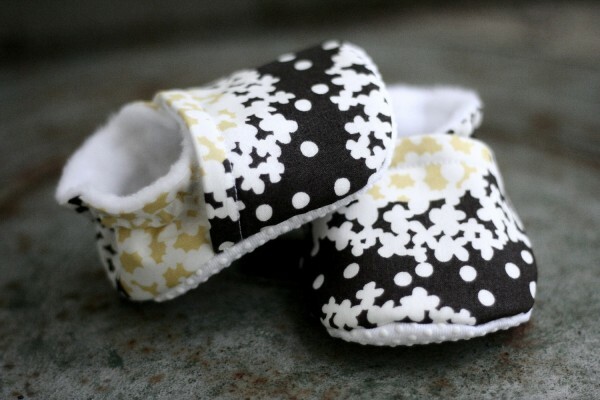 If you’re interested in seeing more cute baby shoes see our previous posts on Lou’s Shoes and Handmade Baby.